Writer Grace Lin recommends some multicultural kids' books families might enjoy this winter season. 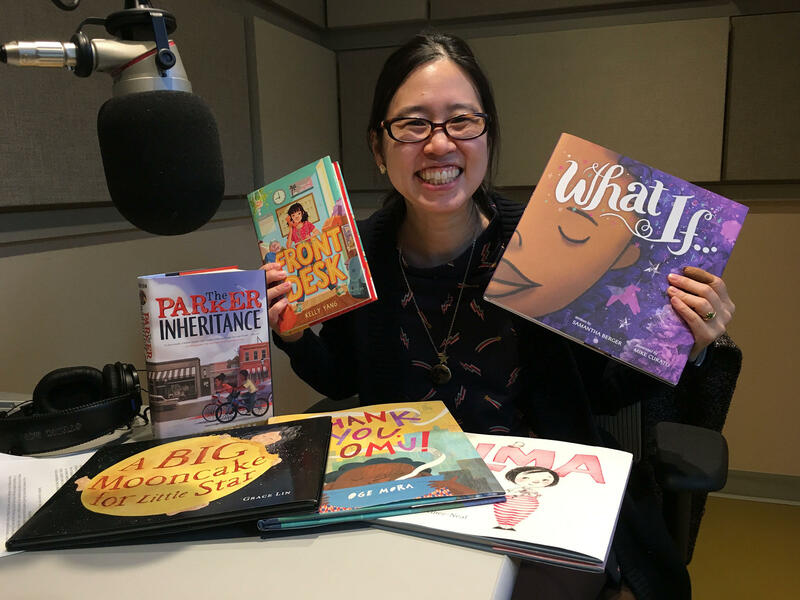 Grace Lin at NEPR with a few of her recommended multicultural kids' books for the year. The Florence, Massachusetts-based writer gathered together a list for parents and grandparents who are looking not only to expand their children's book collection, but maybe add some diversity. Carrie Healy, NEPR: We had an exciting list last year. Is this year's lineup as exciting and diverse? Grace Lin: It is. I actually think it's even better. The only thing that's different this year is that I've kind of narrowed it down to picture books and middle-grade, kind of keeping it in the elementary school range. We could start with picture books. Do kids’ books really have to have a lesson? I don't think books need to have a lesson. Books are here to entertain, basically to tell a story. But there are kind of hidden lessons as there are in any good story. And some of these lessons are heavier than others, but all of them are just the life lessons that we see every day. The one you have on top right there has an exciting looking cover. It's "Thank You, Omu." By Oge Mora, which is a kind of contemporary "Stone Soup" story, except it's stew. And it's really a great, fun, heartwarming book. Tell us about "How to Be a Lion" by Ed Vere. We have a lot of talk these days about male toxicity, and how boys are kind of forced to fit in the structure of how to be a boy. And this is kind of like a perfect antidote to that. It's not just for boys, obviously. It's about a lion who is told that he has to be loud and rough, but he's not that way. He gets a friend duck, and he likes poetry. And it's this really wonderful book to show that there's more than one way to be a lion. Another book on your list introduces readers to the Cherokee Nation. That one is "We Are Grateful: Otsaliheliga" by Traci Sorrel and illustrated by Frane Lessac, and this is a really wonderful book that shows the Cherokee community's tradition of being grateful for all the blessings and the challenges that the season brings. "Alma and How She Got Her Name" by Juana Martinez-Neal is a story about a girl who complains about her very, very long name. But after her father tells her the story of who and why she was named, it gives her a new understanding and appreciation of her name. Another picture book you listed is "What If." Is this a book parents will enjoy reading as much as children? I think so, definitely. This one is, I think, for any budding artists, or any parent who thinks their kid is very creative, or wants their kid to be creative. It's kind of told in second person: what if the crayons are taken away? The child answers, "I'll fold up the paper." What if the paper is taken away? "Well, I'll chisel up the table and carve the chair." It's kind of showing that you can have creativity no matter what. It doesn't matter about your materials, or where you are, or what you're given. You can be creative just because creativity is inside of you. There are a few middle-grade books you listed. Is it a good indication if a book features a 10-year-old that that's the intended reader’s age? I think usually children like to read up. So if it's a 10-year-old protagonist, I would say it's great for an eight- or nine-year-old to read, because that's usually what they want to read about. There is a 10-year-old featured in "Front Desk." This is a really lovely book. It's based on the author's own personal experience, which you can really tell, because the voice of the character is so authentic sounding. It's about a young girl. She has all the middle-grade problems of a normal 10-year-old, but she also is kind of running this hotel with her parents. She's kind of embarrassed about it, and all these things. It's a really really great book. Another book on your list sounds like an adventure many 12-year-olds would love: their parents vanish, they're a dreamy princesss. There's magic and there's battles. Yes — "The Serpent's Secret" by Sayantani DasGupta. It's not very often that a sixth-grader is an interdimensional demon slayer, which she only finds out on her birthday. That's a really super fun book that I really hope everybody gets a chance to read. You also listed "The Parker Inheritance." This book is so great for anybody who is a fan of "The Westing Game." This is a great treasure hunt kind of story, but [there are] so many layers about social justice, about black history in America. I think it's it's really a fun yet also illuminating book. And there's one more book in your stack that we haven't mentioned, and that is "A Big Moon Cake for Little Star." My book is "A Big Moon Cake For Little Star," and it's a story about a girl and her mother who make a huge moon cake and she can not resist eating it. The reader gets to see how Little Star makes the phases of the moon. I often talk about how books are windows and mirrors. They show readers things they’ve never seen before, as well as reflections of themselves. The new animated movie, Boss Baby, was No. 1 at the box office last weekend. But before it was a full-length film, starring the voice of Alec Baldwin, it was a 32-page picture book written by award-winning author and illustrator Marla Frazee. 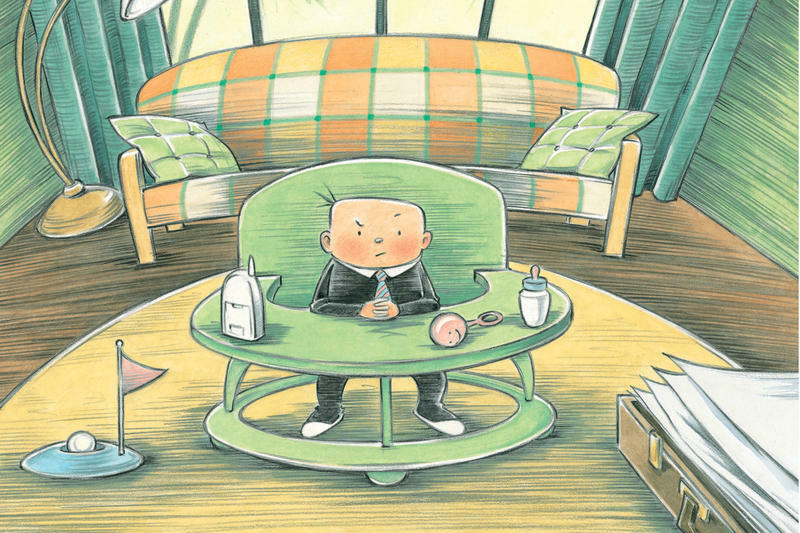 Frazee is a big name for young readers and their parents — the imagination behind Seven Silly Eaters and All the World. Her illustrations have earned two Caldecott Honors.